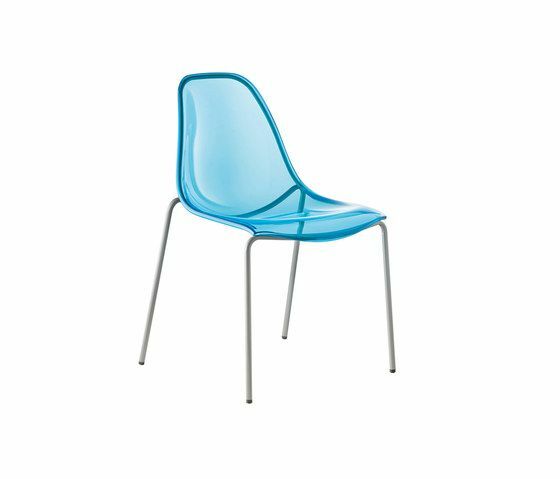 Day Dream, the best contract chair of the year 2006, with round steel tube frame diam. mm 16, full colour or transparent polycarbonate shell, stackable. Legs in chromed, mat chromed, white or black powder coated and silver powder coated for outdoor.